Happy End of September Everyone!! We made it! First month (almost) in the books! I always hum Green Day’s “When September Ends” this time of year. Honestly, I find it so much easier once this month has passed. Having our new routines established, and our groove back, makes me feel so much more comfortable. And this Weather! A little cooler is a bit easier to be in school! This week I’ve had quite a few teachers reach out about ways to read online. Hoopla, OverDrive, Libby, Epic and Bookshare are all GREAT options. The best part….they’re FREE!!! Let’s take a look at what’s on the line, and how to read online, below! Let’s Read: Free eCard from Boston Public Library! Hopefully, you have a library card from your local library network! If so, you have so many titles and media available to you FOR FREE from the comfort of your home! However, if you don’t have a library card – or you’re avoiding that overdue charge from your local library 😜 – you can sign up for an Ecard from Boston Public Library and you don’t have to leave your computer! Even if you do have a library card, consider also signing up for a Boston Public Library card as well. The advantage of having multiple library cards is a greater variety of content! Click here to access BPL and sign up! You can read directly on your Chromebook or PC! Simply go to the library of your choosing and access the Sails Digital Resources site! This will require a library card. Take a look at the video below to see how to read on your screen! Libby (click here) is an app created by OverDrive. Like OverDrive you can access digital books and media free through your local library. However, Libby has a sleeker design and is a bit quicker in terms of downloading ebooks. See the comparison between Libby and OverDrive in this article here. Personally, for my needs, I like Libby since I like to access books quickly. However, for mixed media, it appears OverDrive may be a better fit! Either way, both OverDrive and Libby are a GREAT way to access FREE online ebooks and digital media (audio, video and print). Both Libby and OverDrive are available on the Lenovo Chromebooks by going to the Google Play Store and are also available in the Apple Store as well as Android. You will need a library card to access the content within these applications. OverDrive is the original when it comes to online reading! What’s nice about OverDrive is it will recommend books based on your reading preferences! This site/app also requires a library card and provides you access to so many free items! No late fees because the items are automatically removed from your device! Epic is another GREAT free site that I’ve mentioned before! It’s awesome for grades preK-5 maybe 6. As a teacher, you create a class (syncs with Google Classroom of course) and from there, students can choose books to read or have read to them. You can also create book sets and send them out to students. This site is a HUGE favorite among many of our younger grades here in East Bridgewater, and it’s FREE!!! Click here to check out Epic! Bookshare is another great, free, program that has any book, online! However, this program is limited and for those with a documented print disability. It’s a great resource to find any book, even textbooks, online! Take a look at Bookshare here. Personally, I love to read! I hope some of these tools listed above give you some opportunities to read something new! Get Caught in the Net: Google Sites! Seriously, I’ve been so “caught like a fish” in the Net this week! Keeping up with all of the latest and greatest updates and changes, as well as keeping up with life (and three kids) can be a tad overwhelming 🤯 . September is just an overwhelming month for all of us in Education I think, in a good way. Worry not though because I am here for YOU to help you untangle the line! Like many other apps, Google Sites had some MAJOR updates over the summer. You may think, “My site is done and looks good, I don’t need this.” HOWEVER, these new updates could make your site look, and run, even better! Updates are always worth a look because, usually, they are an improvement on the way it was originally done. We should always consider improvements because really, are we the BEST the first time? No, there is always room for growth 🌻! So, let’s take a look at what’s caught up in my net this week and maybe it can help make your site that 1% better! Google Sites are a great tool for teachers and students. It can be used for a Teacher Website, but also can be utilized for so much more! I’ve seen it used for portfolios, projects and professional development! Google came out with the new version of Sites in 2016, and this means that eventually, the former version will go away. You can read about there here. Always feel free to reach out if you want to make a new site or use Sites in a new way! You can now have your Header Image be the entire home page for your Google Site. This may give your initial page a cleaner look! It also provides a nice arrow if you have content below. You have to see this to know what I mean…check out my example below! “My buttons, my buttons, my GOOGLE groovy buttons!” Like my Pete the Cat reference there? Seriously, Google Sites has added a Button Feature. This feature allows websites to be placed on the page as a cute little button! When paired with the new layouts, this can give your site a nice, clean look! 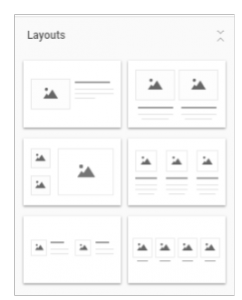 There are now quite a few options for layouts for your Google Site! Again, this is another update that can give your site a nice, clean look. Take a look at my short video below to see an example! Have a website you like visitors of your site to access? Consider using the “link” feature under pages. Check out the brief video below to see what I mean! Would you like to embed items on your websites like a Twitter feed, booking calendar or another widget? Now you can!!! As long as you have the embed code, you should be able to put the item on your site! Take a look below. Don’t you just love gettin’ Googly with Sites? I know I sure do! What new feature will you try?! Let me know! Another great week was had here in East Bridgewater 😀! I have had the pleasure of being between many classrooms and buildings this week, as I get in a record number of steps 👣! A big hit this week was VIDEO! For our PreK-6 classrooms, it was setting up and using the new document cameras 📸, and for 7-12 it was looking at video programs for the Chromebooks! Having the ability to create and share video is huge right now in our school system, as I’m sure it is in many. Creating video allows the teacher to remove him/herself from the front of the room. Students can work in small groups, get more one-on-one time with the teacher, and have the skill to go back to if the video is present! The best part – there are so many FREE tools to make these videos 📹! Let’s look at the WAVE 🌊 of options below! When not using a document camera, ScreenCastify is my personal favorite to use to make video tutorials, or just plain old video clips. This is a GREAT extension. It’s free and easy to use! Bonus – they just came out with some new editing tools as well! I had done a previous post, click here, on some great options for student video projects. However, this week I got to show a few newer tools to the students in 8th grade Enrichment with Mr. Shea and Mrs. Ronayne. We took a look at WeVideo, Animoto, Openshot Editor, and just using the camera app on the Chromebook itself. You can find the camera app on a Chromebook by hitting the magnifying glass key and displaying all the apps, or simply going into Apps on the toolbar. Once the video clips are made, it’s pretty easy to import them into any one of these programs, add music, pictures, and push it out to YouTube or Drive. What a great project idea! Coming soon….YouTube has just released the Beta version of YouTube Studio. According to YouTube, soon they will release a new editor where you can cut, combine and add cards to your uploads! As this comes out, look for video from me highlighting the new features! For those that like video and video projects, check out the new YouTube Studio by clicking here. One of the nicest things I’ve ever seen in Google Classroom, is when an administrator posted a video of students and teacher doing something well. All of the staff who saw it commented and it was a big love fest. It’s so great to celebrate the good that is happening all around us and it’s VERY EASY when using Google Classroom to do this! First, install the Google Classroom App on your phone and/or ipad. Go into your settings and allow the Classroom app to access your photos/videos. Take a video as your normally would. Go find your video, and as if you would text it, choose the send button. When sending, choose the Classroom App and BOOM! It will put your video RIGHT into the Google Classroom of your choice. You can also add a description as well. What’s nice about this, is that the video is private between you and your class and/or staff! So much fun!!! What are you using in terms of video in your classroom? Let me know! As the dust settles, and the heat subsides, you may start thinking about how to first use the technology in your classroom. A great first, easy, activity to try that can get the students really excited are three popular learning “game-like” sites: KaHoot, Quizizz, and Quizlet Live. These sites may appear as games at first, but the learning, data, and collaboration that is built-in are well worth the time spent fishing! Take a look below at these great sites – even if you’re familiar with each you may learn a new tip as all three have updated! This was the FIRST activity I ever tried when I received Chromebooks in my own classroom. It is just so much fun, and now, with recent updates, it’s even better! KaHoot needs student devices and a teacher projector. Students answer questions in a fun, quiz-style format. The data is displayed after each question and available for the teacher to download following the session (that’s new!). There are plenty of premade KaHoots or you can create your own. You can add music, images, video and more! There is team mode, or classic as well as the standard game or jumble! This is a GREAT activity to “pull-in” on your line! If you like KaHoot!, then you’ll LOVE Quizizz. This one is my personal favorite. The data it generates (without having to download) is spectacular and students can go at their own pace. It has some fun features like memes after each question answered. Bonus: It integrates with Google Classroom! Even better, there are thousands of premade Quizizzes! Check it out below! Quizlet on its own is an AWESOME vocabulary site with many premade lists teachers have created. No need to add your own lists, if you search Quizlet by a story name, chapter, or title of a topic you will probably find a list of words. You can then modify them as you wish. This tool is wonderful because it has speech-to-text built in, as well as a picture dictionary and translator. Once you have a list, kids can play Quizlet LIVE! This is unlike Kahoot and Quizizz, it puts the kids into teams and they have to work together. They LOVE it! Check out both Quizlet and Quizlet Live below! Eric Curts had a great post this week that you can read here. It includes MORE Google Classroom updates! As of August 2018, any Google Classroom that is created can be COPIED, including all of its content! This means you can easily copy your course, and then archive the previous year. You can then edit the title of the copied course. The best part is the copy will hold all of your upcoming announcements and assignments as DRAFTS! You can choose to reuse and edit old posts that are sitting there from the previous year or delete! SCORE! So, for those of you who use your old classrooms each year and just clear out kids, you may want to consider making a new class for this reason! This feature only exists in NEW Google Classrooms! AWESOME!!!! Reach out if you plan to use these tools, I would love to see them in action!! Have a great time! This is FUN! Google Classroom, as many of us already use, is a great communication tool. So, let’s make it that 1% better by adding some emojis to our topics and/or assignments! Thank you, Suzana Somers, Easton Ed. Tech Director, for this great idea! Check the video below to see the AWESOMENESS! Sometimes it’s the little things that make our kids smile. Email is a GREAT way to communicate as long as we practice our prudence (thinking before we write/act). You may have noticed that your contacts are no longer within your GMAIL application. They are now a separate application. Check out the video below for tips and tricks regarding contacts. Also, reach out EB teachers if you want a quick way to get parents into a contact group by using your School Brains parent information. The same goes for students groups too! Newsletters are a great way to communicate with parents and students. I know as a parent myself, I love receiving regular updates about classroom happenings or good questions to ask my kids or content that they’re learning about. Even at the young age of 7, my sons tend to not want to always tell me about school. Google Docs has some nice premade template for Newsletters or you are welcome to use ones I’ve made which you can locate under templates in the Template Gallery! Take a look at the video below to learn more! For EB teachers, I can show you an EASY way you can send regular newsletters using Docs and SchoolBrains. Reach out for more information! So, you may have noticed but the About Tab in Google Classroom is a thing of the past. This is actually a good thing believe it or not! Why you ask? Well, in the past you would put all of your AWESOME content on the About Tab that kids needed all year long. However, you would have to repeat this process for all sections you teach since the About Tab was not reusable. You would also need to recreate it each year. Well, now you can reuse your ABOUT information for all sections as well as from year to year. Check out my video below inspired by Alice Keeler’s blog post which you can read here. To learn all there is to know about the NEW Google Classroom, click here for a listing of 32 how-to videos. A Classroom Website can be a great communication tool for parents and/or students to obtain useful information. Much like Google Classroom, Google Sites also had a major upgrade this summer! You can now do so much more the new version of sites, including image galleries (moving images like the district site), Embed your Twitter feed, have new site layouts, and add buttons! Check out this update from Google about the button feature and this one about layouts, so cool! Reach out if you want assistance with your classroom website! I talk so much about Google Forms – but it’s a GREAT way to communicate as well as assess. Answers can be anonymous or tracked. The best part – all information is put in a handy-dandy spreadsheet that you can sort, and never lose! The video below shows one idea of a behavior log you could use to communicate with a parent regarding his or her child. Forms could also be used for surveys, check-ins, or collection of important information. Some prefer email, while some prefer a quick phone app (similar to texting). Whether it’s Remind, SeeSaw, Bloomz, Dojo or one of the many other communication apps, there is an easy way to reach parents, students and/or colleagues with a phone app! Bonus: many of the phone apps all have an in-class component such as Dojo or SeeSaw! Take a look at this post which describes four of these popular apps or this chart which compares MANY of these tools, showing the pros and cons of each! Always talk to your administrator first about what app is appropriate/approved to use with parents and/or students. Lastly, how do I not mention one of my FAVORITE pieces of tech that we purchase as a district: PearDeck. This is simply an amazing tool that can be used from K to Adult Ed. Check out this deck below from Beth Barra that she used on the first day to communicate with ALL of her students. PearDeck gives every student a voice! If you want to see how to use this great resource, reach out! I am so PUMPED to share all of this GREAT stuff with you to start your best year yet!!! It’s almost here, and that first-day-of-school smell and feeling is so indescribable. If you’re in education, you know what I’m talking about! Endless possibilities are ahead! This year is a blank slate, so how are YOU going to make it AWESOME?! Below, I’ve provided a few ideas to get your tech started, whether it be with organization or some activities! Remember, I’m here FOR YOU, so reach out anytime! It all begins with Google Classroom…. The best way to start with students, using technology, is to first set up your Google Classroom.This will allow you a place to push out the tech activities you wish to use. The slides below, from Susan Herder fellow Google Certified Trainer, are a great resource to see how to use Google Classroom. Even veterans of Google Classroom may want to check it out since Classroom had a MAJOR overhaul! The Google Classroom FAQ page answers some great questions such as: “Where is my About Page?” Click here for that resource. Remember – it’s best practice, and suggested by Google, to set up a new classroom each new year. All new features will not be available in older Classrooms, including notification settings. This post from Google for Education is also a great resource with videos showing how to set up and utilize the NEW Google Classroom: Click here. Let’s set up those Chromebooks/Chrome Browser to optimize use! These tips are helpful for both staff and students! Take a look below and try these for yourself, and with your students to streamline Chromebook use. Great for littles, but great for me! I love when I start up Chrome and my opening page is exactly where I left off, or a few tabs open that I’ve specifically set! Spend a minute or two setting this up, and it will save you time in the long run! 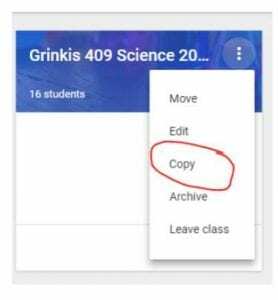 You could use Google Classroom to assist with this for littles, simply put the links in you want them to copy and paste into their settings. This is the first video I ever made in my current position, and you can tell, but the content still holds true! Be sure to be LOGGED IN to Chrome so your bookmarks stick! If you’re on a Chromebook, you are automatically logged in. If you need help with logging into Chrome, watch this video (by me) here. I love this one….getting my Apps in order just makes me happy. I LOVE Google Forms! As a teacher, I used it to survey students and parents. It’s easy to create and to push out to anyone! Super Score – it puts the answers in a handy-dandy spreadsheet that you can access at any time! I liked to use it to have kids rate themselves at the beginning of the year, mid-year, and end of the year. It was great to see how their own opinions of themselves as students change over time. Google Forms recently updated as well, giving it more options for colors, fonts, and themes! FUN! Click here to see the example. Click here for a back-to-school Google Slide Deck that I modified from Pear Deck. You will need the Pear Deck Add-on installed in Slides to use this. From there, open the Add-on and click the GREEN “Present with Pear Deck” button. Feel free to modify this Slide Deck to suit your needs. Students will enjoy this activity, and you will enjoy getting to know each and every one of them! Pear Deck gives every student a voice, even those who may be shy to share on that first day. It allows students to share in an anonymous format, however, you as the teacher can see the student’s voice. 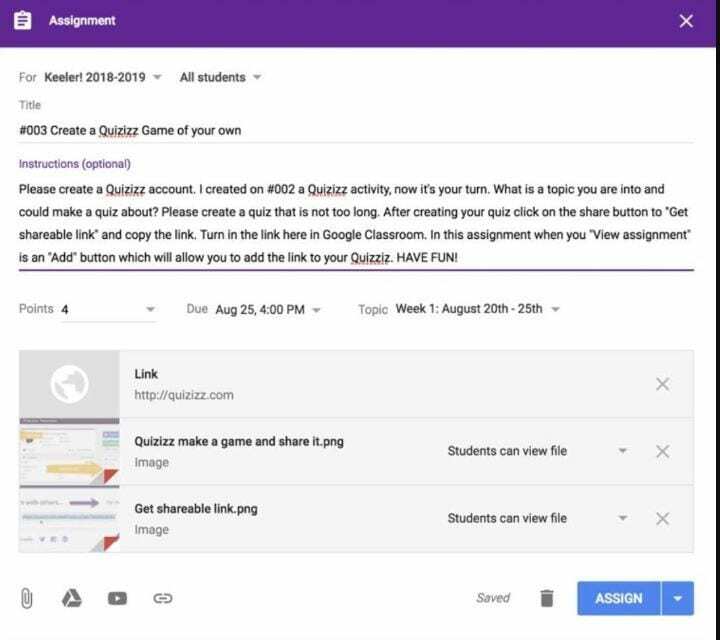 Have Students make YOU a Quizizz (or KaHoot)! This is a GREAT idea that came from Alice Keeler! In her first week back, she had students create short Quizizz games that showcased their interests. Then she had her class play the games. It was an opportunity for students to get to know each other in a FUN and interactive way! Click here for an overview of Quizizz. As educators, we all set goals for ourselves so why not do this with our students? It’s important to have goals, hopes and dreams! See below for some techy ideas to set your goals! This HyperDoc, click here, has some great activities connected to one’s Hopes and Dreams for the upcoming school year! If you’re a practicing teacher of Responsive Classroom, this could be a great pick for you! Lastly, how bout a little fun?! Google does it again with the Emoji Scavenger Hunt! Could be a fun first-week activity! Click Here! I CAN’T WAIT TO SEE YOU!!! What are your first week of school ideas? I’d love to hear them! Happy Summer Everyone! We made it! 😎 It was a pleasure working with you and THANK YOU to all of those who had me in or who reached out in some way! I’m already thinking of ways to make technology integration bigger and better for next year, so stay tuned! In fact, I was so busy in this endeavor last week, I neglected my weekly blog post for the first time! Can you believe it?! I know you must have missed me 😉! I find the BEST, most up-to-date tech lessons, ideas, and strategies on Twitter! I have a few FAVORITE bloggers that I follow who post regularly and I keep them in my cheat sheet here. I also follow @Masscue which will often retweet great posts from other Massachusetts Educators. You can also follow me, I also retweet great things I see @MrsErinFisher. I absolutely LOVE Twitter chats and have made so many new friends by being a part of a few. Twitter is a great way to see the latest and greatest tech updates! I LOVE to read, but I LOVE to write even more. This year I wrote my weekly blog and also a few tech articles for various publications on Tech PD Days and EdTech Coaching. Reading educational books and also writing about education, even just to be reflective (like my blog), help me to keep my skills “afloat.” I plan to read Lead like a Pirate this summer as well as a whole lot of fiction! I also hope to write a few posts over the summer and keep a summer journal with my own children as we write about our favorite days. Check out the MASSCUE site, as they are hosting not one, but 2 GooglePaloozas this summer for a VERY cheap rate! MASSCUE offers so much PD, most of which is free for members. This is a fantastic organization! Consider joining – one incentive are the grants they award to members who write an application…up to $3000! I’ve seen so many GREAT picture slide shows at the different schools. iMovie seems to be a favorite, but our new District-wide Technology Coordinator told me about OpenShot! It looks like a great alternative, and it appears it would work really well with Google Drive on a Chromebook. BONUS – it’s free. Check it out below and consider it for next year’s project! I used iMovie for this GEM below which we made for Kathy Raulinaitis’s retirement. She is my former partner when I taught 6th grade. Pear Deck just came out with 30 PREMADE AWESOME DECKS! They all focus on internet skills and involve some GREAT lessons, including how to determine “fake news.” The best part – ALREADY MADE FOR YOU! Check it out! Can you feel it? Can you sense it….because it’s coming! I’m talking about SUMMER of course! Our time as teachers to rest and rejuvenate and take in some “transformative technology.” However, before this glorious time begins, let’s talk about some tasks we can do to finish out our year strong and make it just a little easier to come back! Much like our own classrooms, our own Google accounts could use some cleanup and packup as well! Check out the recommended tasks below! I assure you, you will thank yourself when you come back next year if you tend to these items now! Cleaning up your Drive and sorting and organizing items will allow you to feel a sense of relief when returning next year. You can clean both your Drive and your Shared with me Drive with a few easy steps. See the video below. This would even be a great activity to complete with your students as well! No one wants to leave with a full inbox. View this quick video to see how to Archive all of your emails in one easy step. This clears it from your inbox but saves it in an Archive folder in case you ever need to locate that one particular email. I never delete an email, only Archive, because I never know if I need to dig up something important! NEVER TOUCH THE GOOGLE CLASSROOM FOLDER IN YOUR DRIVE! However, you will need to clean up your Google Classrooms themselves. Be sure to pass back all student work that was turned in. This will return ownership of items to the student. See the link here for more information on that. Like Email, you may want to Archive your current classes. This is highly recommended by Google as well. This way new students and/or staff cannot see previous announcements and assignments that may not apply to them. You can always “reuse” posts from year to year which is the beauty of Google Classroom. Be sure to go in and make sure all of your announcements and/or assignments have a topic assigned. This will help you when looking for particular items next year. How nice is it to come back and be like “Oh yeah, I have this whole first-day thing ready to go!” ? 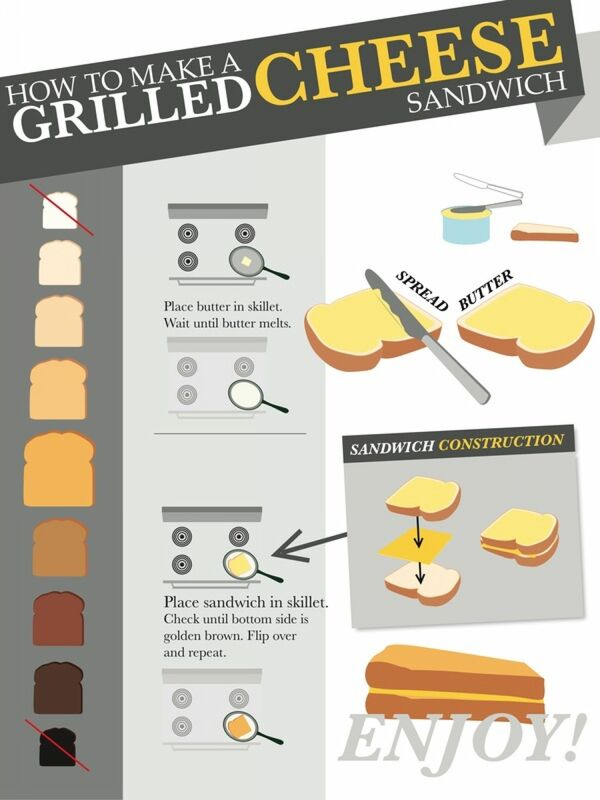 Well, read below for some quick and easy ideas of how you can prepare some items ahead. Please reach out if you need any assistance! Google Forms are such a POWERFUL tool! If you already send home a “tell me about your child” type of survey, consider sending it home via Google Forms. The benefit of this is it will put the information in a beautiful, organized spreadsheet for you. Here is an example I’ve used in my own classroom. You could also have a few devices available at Open House for parents to fill this out as well, in the event you don’t get responses. You can use your SchoolBrains parent emails to easily email out the survey (see video below)! Book me today if you would like any assistance preparing this for next year! Again, Google Forms are a great tool and surveying students will give you some very useful data for future use! Bill Silva, Biology Teacher at the East Bridgewater JRSRHS, sends a form to his students. It provides him useful contact information so he can contact his AP students over the summer! You can also survey your own students at the beginning of the year to see how they feel about certain subject areas. I’ve used this in an anonymous format to get more honest answers. I gave out the form a few times throughout the year to reassess how students are feeling about themselves in the specific subject area. Consider preparing a survey now to give students at the beginning of school, it may help you get to know your students better! Click here to see the example. Aside from a Google Form, an interactive Pear Deck on the first day is a whole lot of fun and can provide you GREAT data in a nice organized spreadsheet! I’ve made this particular Deck for you to use (click here), with questions provided by Pear Deck. Feel free to modify it to suit your own needs if you would like to use it. Just remember to add the Pear Deck add-on for Slides. You may need the add-on installed before making the copy, this way the questions appear. When presenting to click the GREEN present with Pear Deck button. See the video below for assistance. Please reach out for any assistance in making your last few days, or your first few days, a little easier. I am here for you! Hello hello fishy friends! It is June, and you know what that means?! We are at the “end of the line” and ready to “reel it in.” It feels good to be at that finish line, doesn’t it? We’ve worked hard all year, with our students and with each other! This is the time of year where we can reflect on our practice, and also have students reflect on the year. There are some great activities integrating technology that you can use with your students in the reflection process. 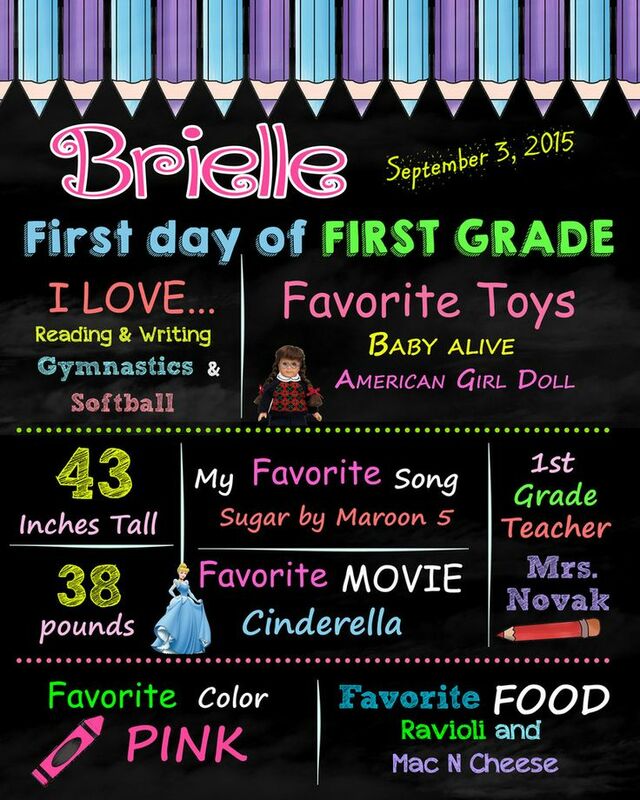 I posted these activities last year as well as below, and added a few new ones! Google Sites – Digital Portfolios! How about a digital portfolio? Students can use the new Google Sites to easily create a portfolio of their best work from the school year! I’ve been in with second grade, sixth grade, and a select group of seventh and eighth graders to create digital portfolios. They are coming out beautifully and the kids really enjoy creating them. This would be a great activity for the end of year reflection and also a great tool to follow students as they move through our schools. Book me today, and I can come in and assist you with Digital Portfolios! You are more than welcome to use this template I created (it will force the copy) to have the students create a “year in review” infographic – it’s blackboard themed. 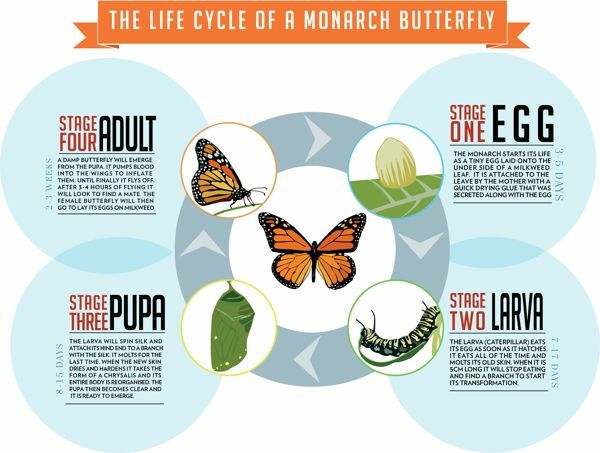 You could create an “inspirational” infographic and hang them up around your room for students to see next year! You can create a template – or use mine here (very simple) – to have students create a memory book of the year. Push it out through Google Classroom in order to make a copy for each student. You can then show these to students on the first day of school. Let students alter backgrounds, fonts, colors, and pictures to really get creative. Create a Google Form asking students about the year. Here you can frame the questions in a way to get answers you would want to use. You can use Autocrat to turn the responses into an actual Google Doc and you can make it all sorts of pretty. You can download the Doc as a PDF or publish the doc as a site. Here is an example of one I made from a form. This type of assignment would take booking me for the conversion or you can watch the video here of how to use Autocrat. Host a class competition where students cast a vote and give an award to the team that produces the most clever, creative 30-second advertisement for your grade level/classroom/content area. Decide first as a class on the product to be pitched (plan, design, critique). Animoto is a GREAT FREE site that could assist with this commercial making or POWTOON. Animaker and iMovie (iphones/ipads) also work well! PowToon is great for comics too! Have students really help you out and have them create a Hyperdoc based on a lesson or concept you taught this year. Once the student shares it with you, you can “File – Make a Copy” and use it next year. Here is an example I created using one of the templates on the Hyperdocs site. There are great templates here that students can use. There are also hyperdocs already created for you to use, and students could look at for ideas. If you haven’t tried Flipgrid or Let’s Recap yet, this may be the time to do it. Both sites are free and allow you to present a question or topic. The student then answers the question or topic with a picture or video response. Once they answer and submit the response, they lose the rights to it (unlike Screencasting). Only you, as the teacher, have the rights to the video within the platform. You cannot download or repost the videos, but you can share with students and parents via a code if you choose. You approve the videos for viewing after you watch them. Let’s recap will put them into a montage for you, which is the only benefit that site has right now on Flipgrid. Students really enjoy using these sites! Warning – you will need a quiet space if recording video with a full class of kiddos. Have students create a collage of the year in review – or any topic for that matter, using Bitmojis. They can edit the bitmojis and create something a bit more personal. See my video here for a tutorial. Here is an example of Bitmoji art that I created to show off my year. This is pretty cool! Let me know if you want/need help getting going with this. Take a custom list and make a word search in Google Sheets to push out to the kids via Classroom. Better yet, have the kids make one! Click here for this resource. Please let me know if you have any ideas for a cool end-of-year technology integration activity! Be sure to check in next week when I post my ideas on End-of-Year teacher activities like slideshows and surveys to make your start of next year even easier!